Welcome to the WBFC Fly Fishing Report. 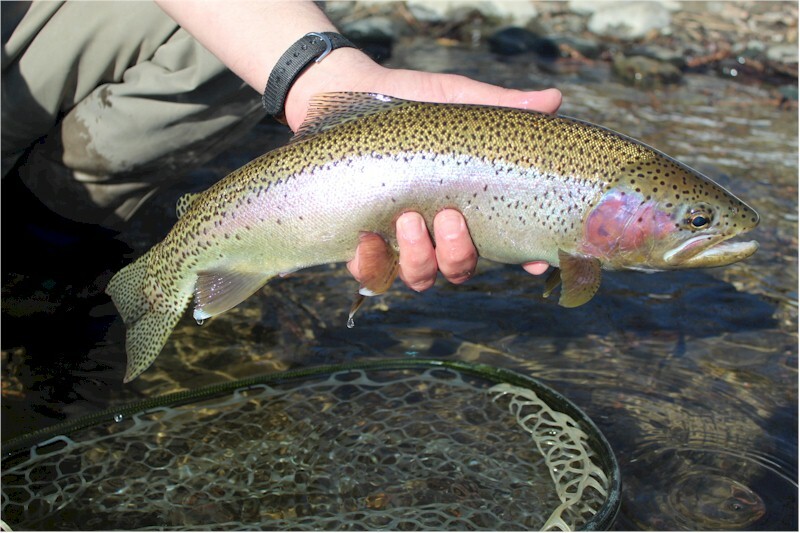 Here you can find the most accurate, honest and up-to-date information on fly fishing in Central Washington. 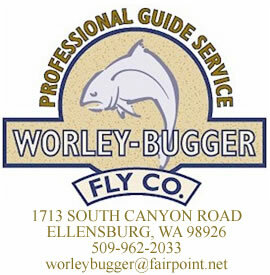 WBFC operates it's brick and mortar fly fishing pro-shop in the small city of Ellensburg, Washington, the heart of Central Washington and the headwater's of the Yakima River. Feel free to contact the pro-shop with any remaining questions or concerns you have before heading out on your next fly fishing adventure. Stop by the shop and our freindly, helpful and professional staff can assist you with any recommendations you may need. The Yakima River has dropped nicely and is now in very fishable condition. Now, weather it will stay in prime shape is a whole different subject matter. According to the river graphs, the river is suppose to bump up considerably on Thursday. This time of year, conditions can change from day to day, so keeping an eye on the graphs is a smart idea. Finding you have traveled to a river that is blown out and unfishable is a frustrating event that can easily be avoided. You can also contact the WBFC Proshop for current conditions and an updated fishing report. The river is producing excellent hatches of Skwala Stoneflies, March Brown and Blue Wing Olive Mayflies at this time. Be prepared to start your day, nymph fishing with the correct patterns and sizes to match these aquatic bugs. As the afternoon approaches and the water warms a few degrees, adult stoneflies and mayflies will begin showing themselves. Switch to dry fly and modifiy your techniques to imatate the naturals on the water. Remember a drag free drift is crucial here. A dragging fly on the Yakima will be disregarded and ignored completely 99.9 perfect of the time. The Columbia Basin lakes are reporting good fishing with buggers, leeches and chironomids at this time and that will continue to be good throughout the week. Callibaetis nymphs are reporting some successes in several lakes as well. The infamous Kittitas Valley winds have shown up this week as a big storm front pushes over our area. Winds speeds in excess of 50 mph were recorded yesterday, creating some tough fly fishing conditions throughout Central Washington. We have had quite a bit of rain fall with these storms as well, which has dumped most of its moisture during the night time hours. The Yakima River today is running high, but clear dispite the amount of rain we have received. Acccording to the NOAA prediction the river will continue to drop over the next week, which is great news for us. You can bet on Skwalla Stoneflies in the early to mid afternoon as well as March Brown Mayflies and Blue Wing Olives hatching around 2:00 pm. Folks this can be some of our best match the hatch fishing of the year, so plan your fishing days according. It looks like we are going to get a least another week of April fishing on the river before more of the high elevations snow pack comes rolling out of the hills. The fish are in excellent shape and have wintered very well. Most of the Columbia Basin lakes are reporting good fishing with buggers, leeches and chironomids. Dry Falls, a popular Grant County fishery is reporting fair to poor fishing with cold water conditions. Water temperatures are ranging in the mid to high 40 degree range. A few fish are being caught here, but their are other lake producing better results at this time. Lake Lenice & Nunnally are popular lakes for fishing and both are fishing well at this time. The Quincy Lakes area is also reporting good fishing as well. These specific lakes for trout are Burke, Dusty and Quincy. We fished Evergreen Reservoir last week for Tiger Muskie and Bass. Water is still to cool for good bassn'. We did manage to hook up one big Muskie, but unforunately these razor sharp toothy critters can chew through a heavy piece of mono very quickly. Tough lesson, when you are pursing the fish of 10,000 cast with your bass stick. Call or stop by the WBFC Pro-shop if you need any further informations. Have a great day!